Gordon Brown’s multibillion pound economic rescue plan has been dismissed as ineffective and expensive by Germany’s finance minister. 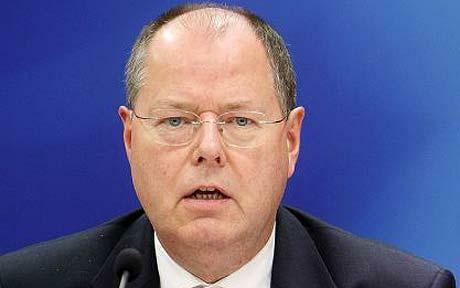 Peer Steinbrück launched an outspoken attack on Mr Brown’s fiscal stimulus package, saying a cut in VAT would have little impact and predicting that the huge debts the Treasury is taking on will be a burden on the UK economy for a generation. The remarks are an embarrassment for the Prime Minister, who has repeatedly claimed his plans have set the template that other countries are following. Mr Steinbrück’s remarks, in an interview with Newsweek magazine, surfaced on the eve of a European Union summit where Germany is set to reject Mr Brown’s appeals for others to follow his lead. Germany’s chancellor, Angela Merkel, is a Conservative, but she leads a coalition government and Mr Steinbrück is from the Social Democrats, a centre-left party with links to Labour. You are currently browsing the archives for the Commons category.